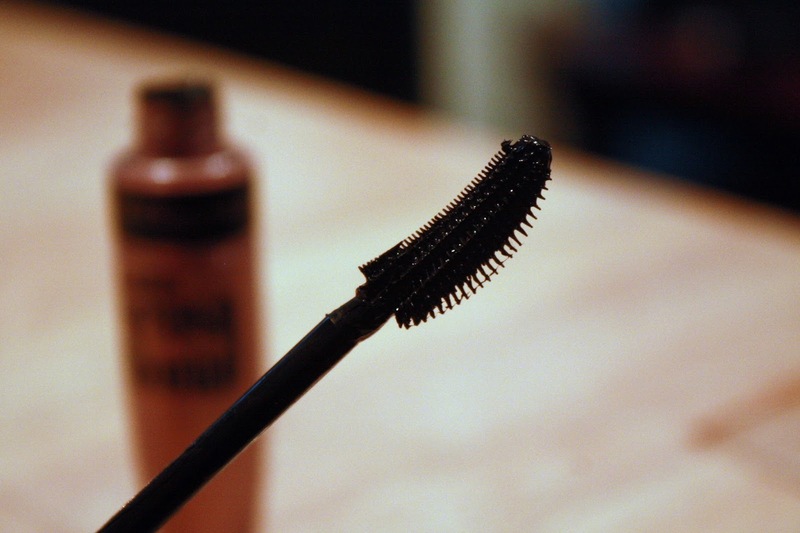 I’m a picky lass when it comes to mascaras - so you should know that only the best of the best made it to the list. I’m not blessed with those naturally fluttery lashes (you girls know who you are) so I really have to rely on mascara to lift my eyelash game. So here are my favourite five mascaras ever in no particular order. Kay, so the brush does look a little clumpy in this photo *face palms self* but I swear it isn't a clumpy mascara. 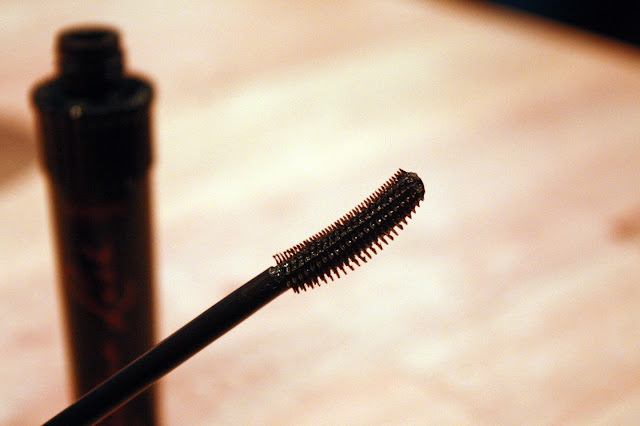 I find that this mascara is best for curling and thickening the lashes. The wand looks a little big in the photo but it's still small enough to get those pesky inner lashes. 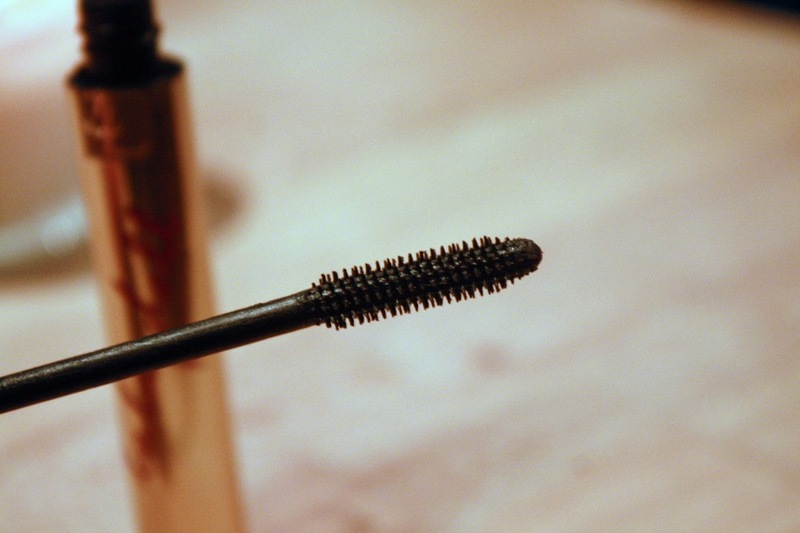 This mascara is so bloomin' easy to apply and in a few strokes you're ready to hit the town. Now this was a very hyped up mascara. At first I was cynical on how 'great' it was because there was almost too much buzz with it. As I read the reviews I felt like that jock from napoleon dynamite who constantly scoffs, this guy). Buuut...I ended up caving. The first week of using this mascara I wasn't a fan - the formula was too wet and it didn't work for me. I put it down for a few weeks and when I picked it up again..I was in love *heart eyed emoji*. Once the formula dries it does as promised: lengthens and curls. I got this in April and it's only started to dry up now which i'm super impressed with. Will most likely repurchase this one. I don't understand the science behind how this wand manages to do a fabulous job. I mean it looks pretty darn basic with its straight and short bristles. But for some reason I really like this mascara. It's just that perfect everyday mascara which makes your lashes look all natural and fluttery. It does dry up a little quickly..but..I kinda think its worth it. I feel a little cruel adding this into my favourites. Why? CAUSE YOU CAN'T FIND THIS ANYWHERE. 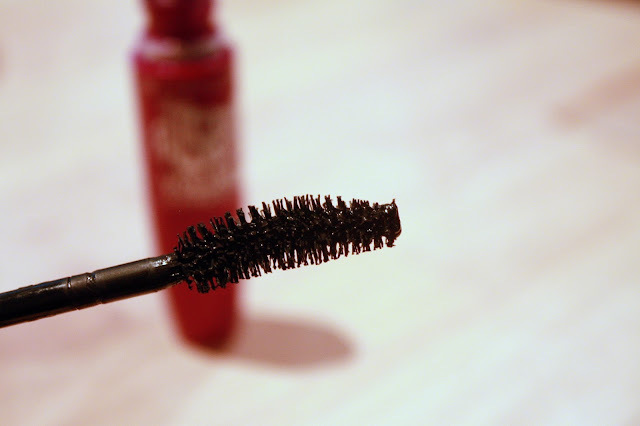 When my mum and I went to France at the beginning of the year she bought this mascara as she was running out of hers. 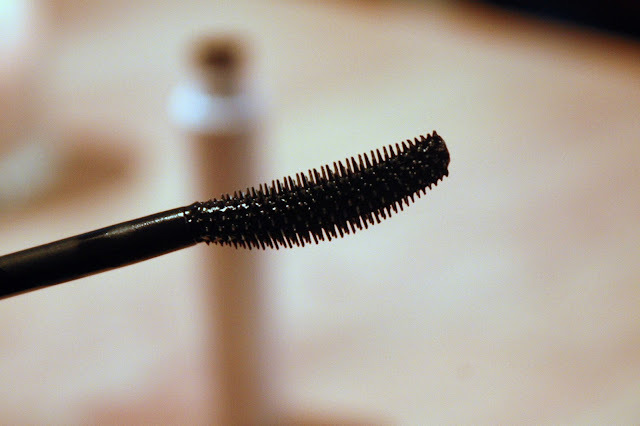 It wasn't until we got home from our travels that we both tried it and realized that it was one of the best mascaras we had ever used. We tried to search for it in-store and online but we couldn't find anywhere that sold it. My brothers went to France last month for a cycling trip so they bought about 5 to bring back. Basically this is incredible. It curls, lengthens and adds volume. Never gets clumpy. Doesn't dry up fast. Easy to take off at night. It's just the ideal mascara. Sooo if you go to France or find it online let me know if you love it as much as I do. Discovered this in 2013 and I still adore it. There's just something about this mascara. It lengthens, curls and adds volume. This is a mascara I've repurchased time and time again (i'd say about 5 or 6 times). It just ticks all the boxes for me and i'll forever be buying this. So there you have it! 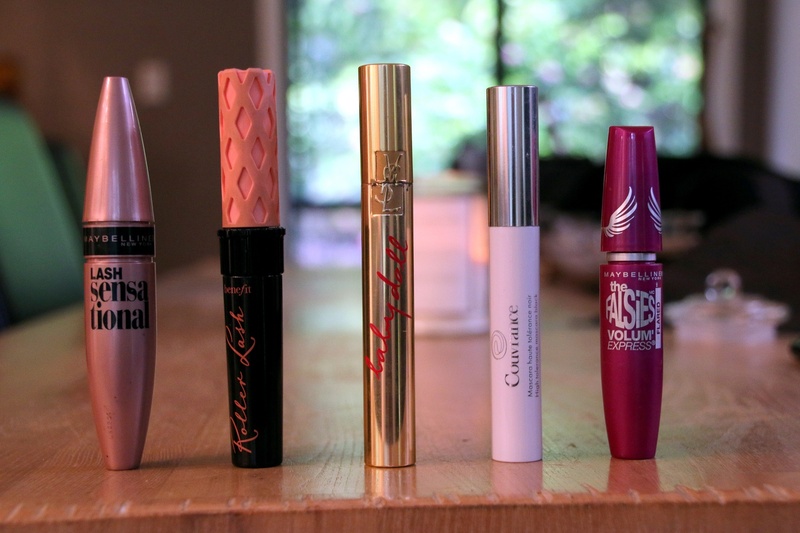 If you're in need of a new mascara..take your pick. I'd recommend em all. Please let me know what your holy grail mascara is, perhaps i'll need to give it a go. The Lash Sensational had been my go to mascara at the moment, it's so good! I really want to try the YSL Babydoll as well now! The only one I've tried out of these is Roller Lash. I did like it but I found mine dried up and started to flake after not having the tube for too long. I did like the effect it had on the lashes, it really lengthened them. I really like the look of the Babydoll mascara! Need to add that to my neverending list of mascaras to try. Loved this post and the pictures look amazing. I've only tried the Flasies and the Avéne Couvrance. Like you said, it's really hard to find and I got it as a extra little sample when I purchased an avene face cream. I've heard so much about the Lash Sensational in Zoe and Eve's videos on YouTube! Will have to pick it up next time i'm in Boots! Lash Sensational is pretty good but it can be a little too heavy for my lashes. I do like Benefit Roller Lash, yes it's very hyped up but it is really good once the formula dries down after a few weeks. I also love Urban Decay Perversion and Givenchy Phenomen'Eyes, both are brilliant.